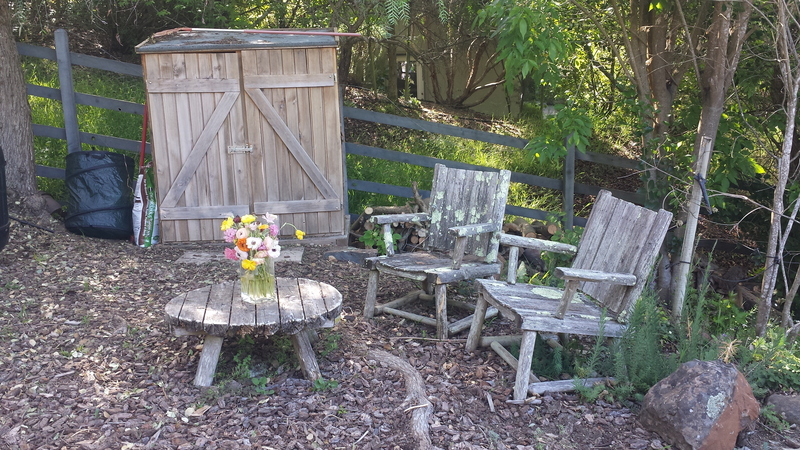 Do you dream about picking fresh herbs and sun ripened tomatoes right from your own back yard? 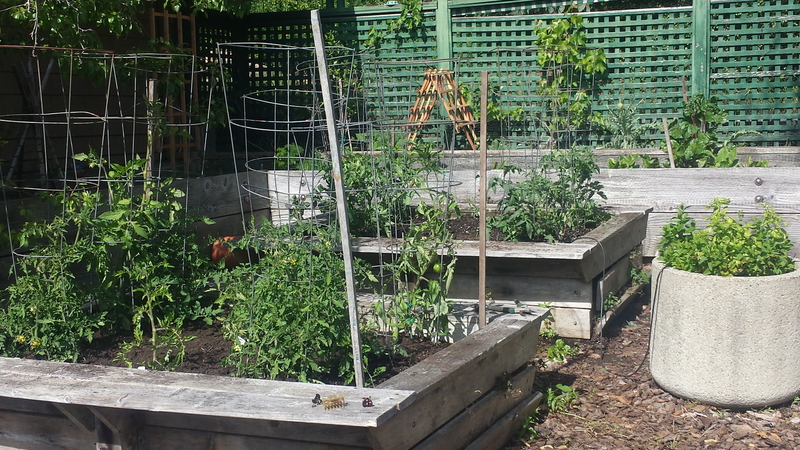 Have you always wanted to have a vegetable garden but didn’t think you had the space or weren’t sure how to get started? 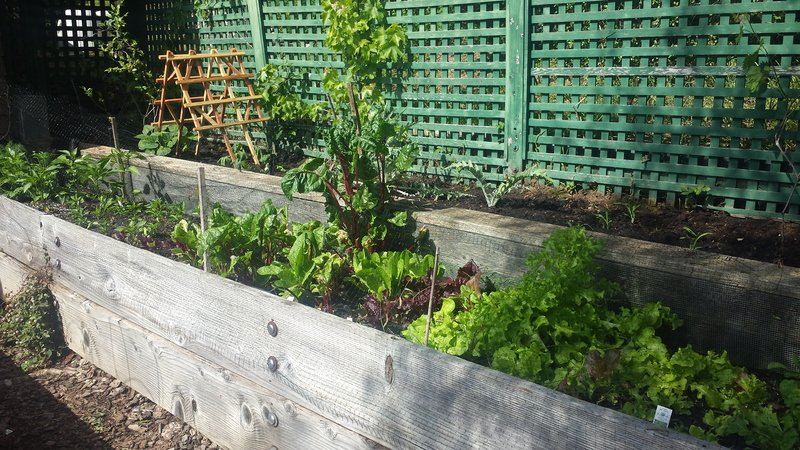 If you have even the smallest space or a super short growing season you can stilll have a garden. I am always amazed at how creative people can be. 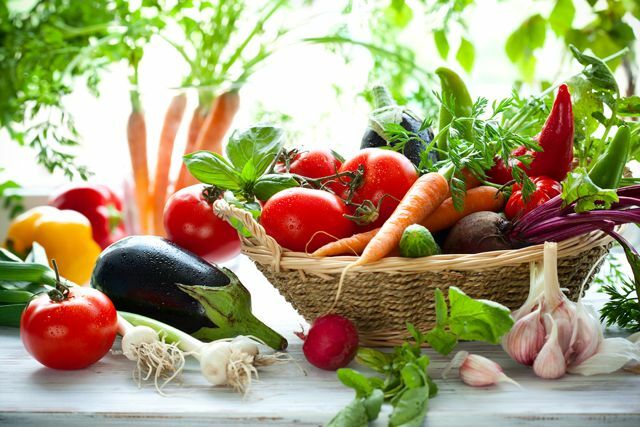 I have been gardening for years and still keep coming accross great new ideas to incorporate into my vegetable garden so that my garden gets better every year. So what is your garden style? Are you neat and orderly or creative and artistic? 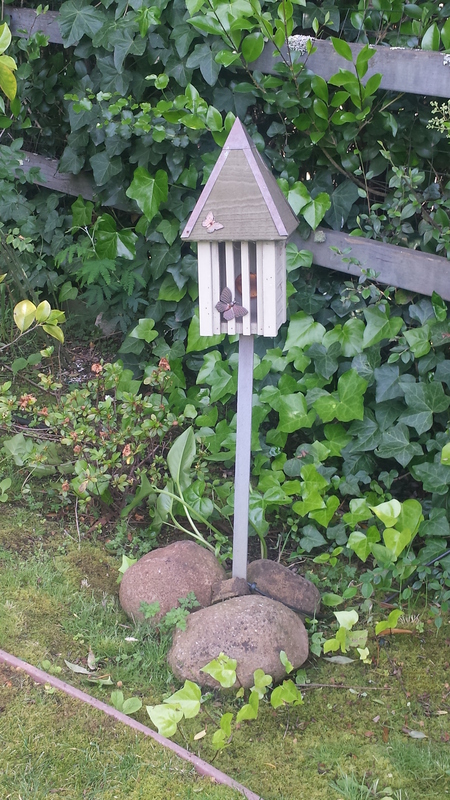 Do you like garden art, bird houses, or even a butterfly house? 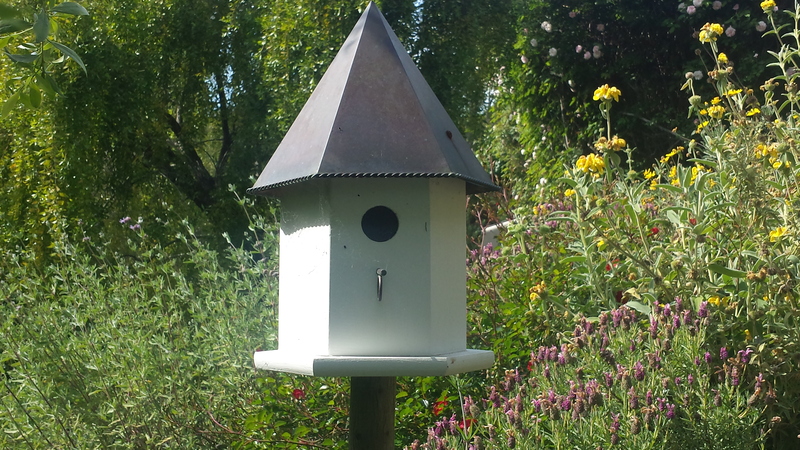 Do you want a place to sit and enjoy your garden or somewhere to put your gardening tools? 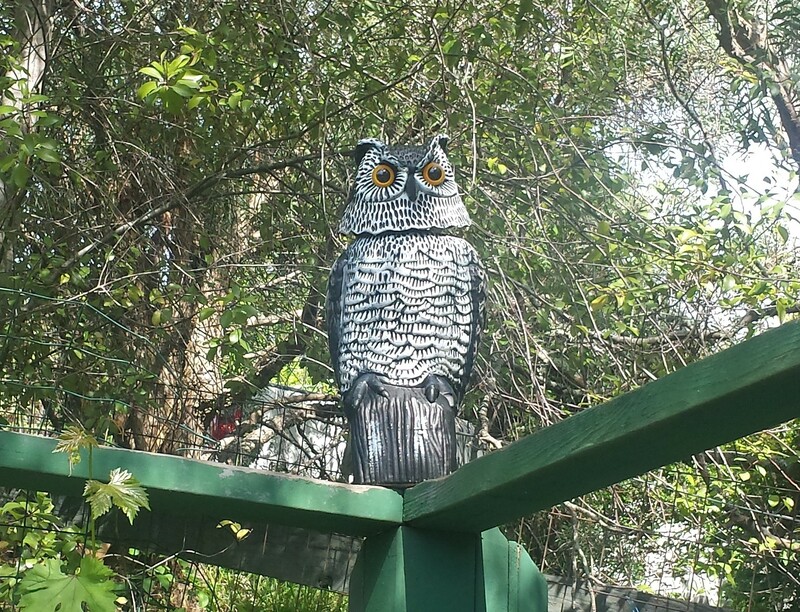 How about an ‘owl’ to guard your veggies or a fabulous way to preserve time by placing stepping stones with special dates or footprints. 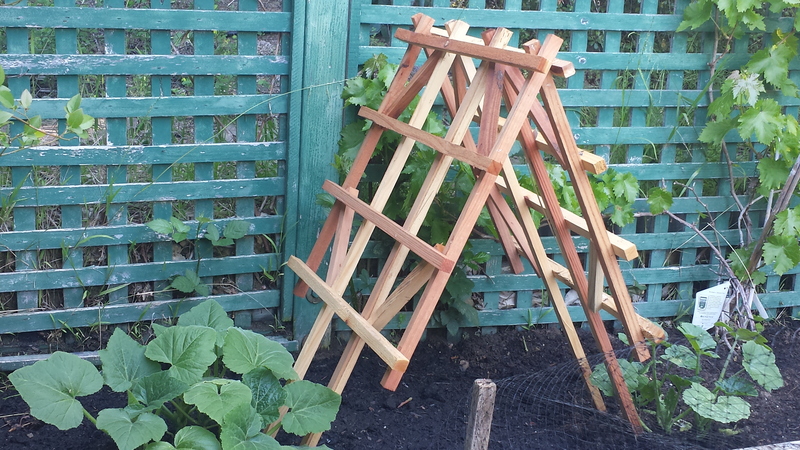 There are many ways to design a vegetable garden. You can plan a dedicated vegetable garden or you can have a mixed garden where you also plant vegetables in the ground alongside your marigolds and petunias. 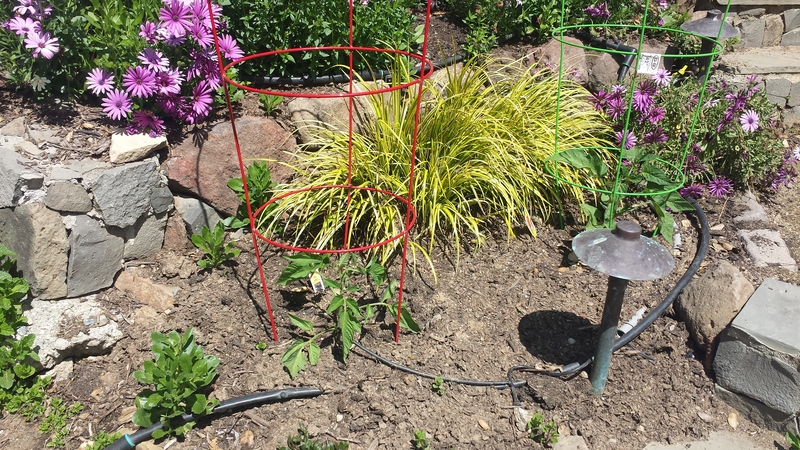 For those with limited space, if you have a glimmer of sunshine, you can usually find a place for at least one small planter even if you have to think outside of the box and go vertically. If you live on a hill try terrace planting. 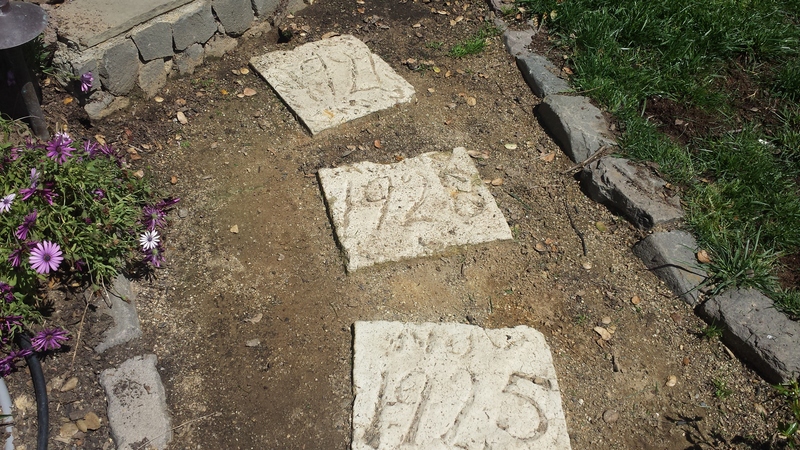 Or you can do what my friend, Elizabeth, did and dig up your entire front yard and plant a giant vegetable patch. 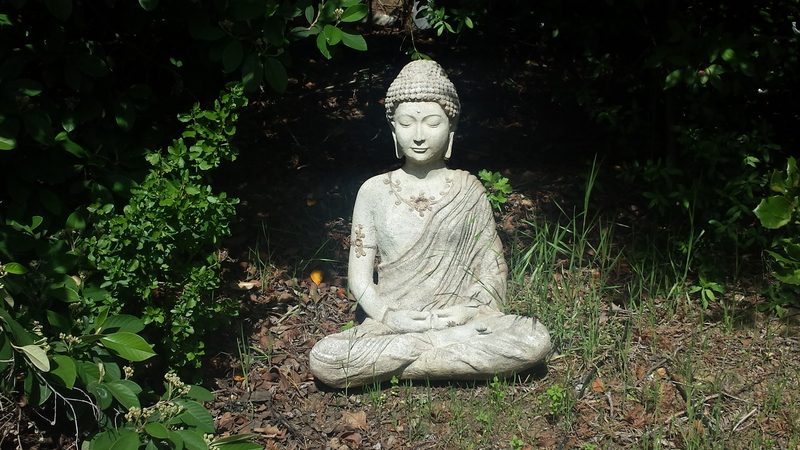 Garden types: Gardens are as different as people are. What gardeners share though is the almost ridiculous sense of satisfaction we derive from the bounty that is harvested from our gardens. Nothing can compare to harvesting your first beautiful head of lettuce or that perfect purple globe eggplant, right when you need it, and eating it minutes after it has been picked,(and bursting with flavor and nutrients) not days or weeks. So look through the following gardens to find your inspiration and start planting. Soon you will be reaping! Thank you to my friends, Patti, Judy and Elizabeth for sharing their beautiful gardens with us! 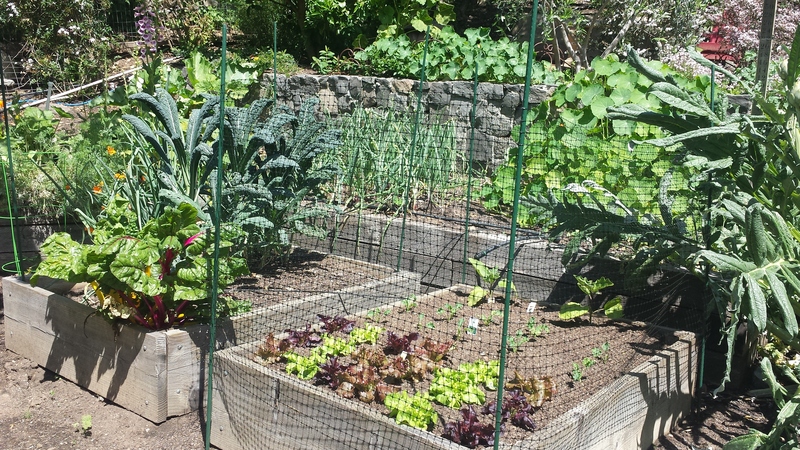 My vegetable garden is in one area of my yard, specifically dedicated to veggies. 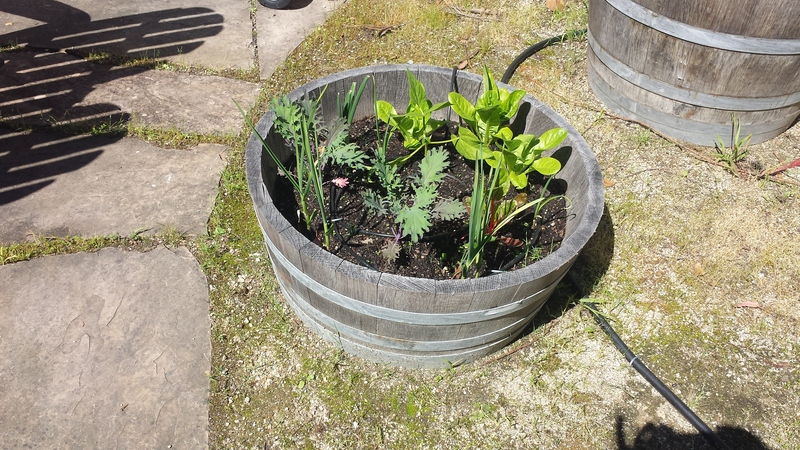 I have a tiered L shape raised bed in which I grow lettuces, chard, beets, many pepper varieties, onions and leeks on the right L. Behind that are artichokes, squash, grapes, blueberries, and hopefully soon a towering row of sunflowers. 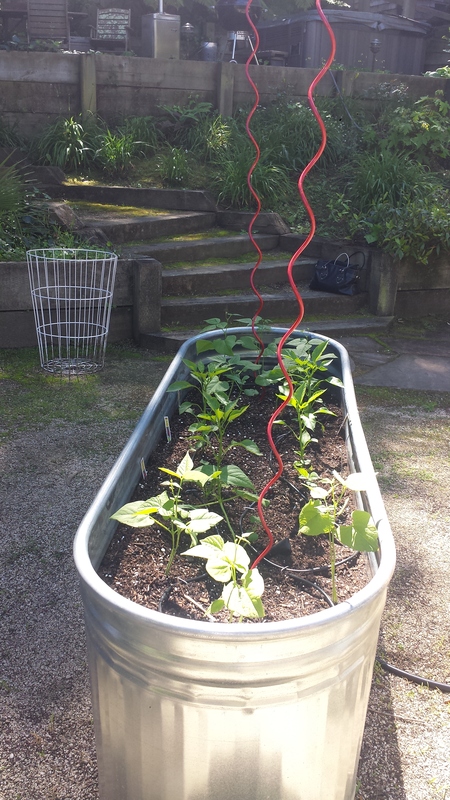 On the left L, I have radish and rainbow carrot seeds started, along with pole beans, snow peas and assorted herbs. 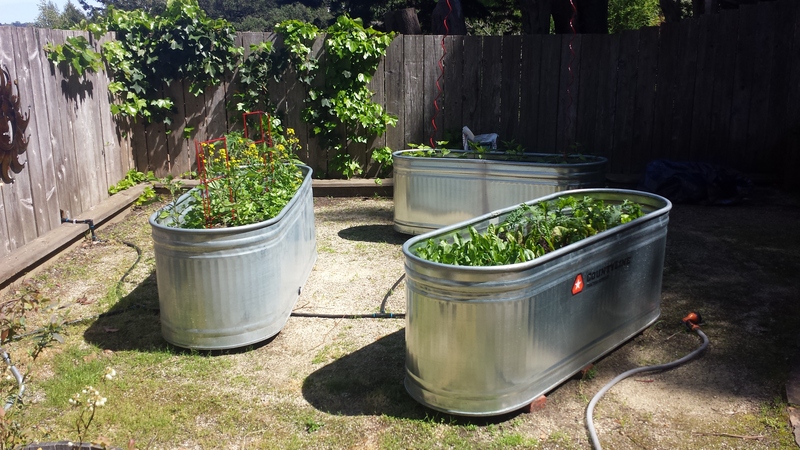 I also have two large planter boxes (which may be in their last year of service) designated for tomatoes. If I were to grow only one thing it would be tomatoes. Nothing can compare to eating a fresh tomato still warm from the sun. 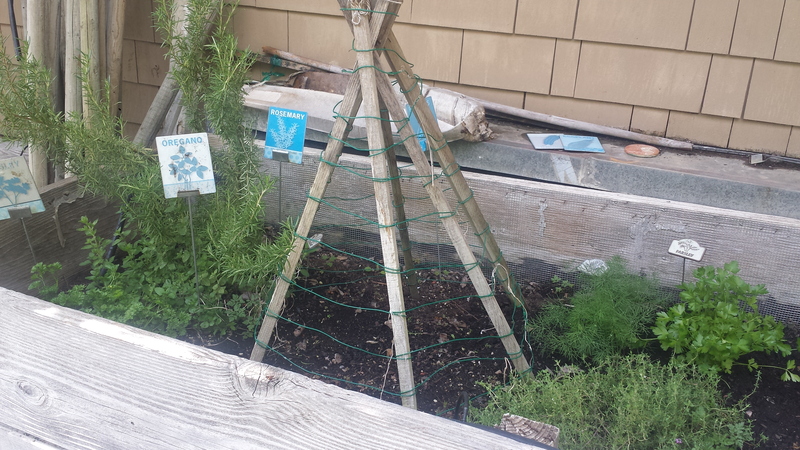 I am trying vertical gardening this year to keep the veggies that like to sprawl (like squash) off the ground and support tall veggies (like beans and peas) with trellis and teepees. They are small now but soon they will be twining their way up to the top. I have used the teepee for years. It works great and is easy to put together. Mine is just spare wood held together with twine. 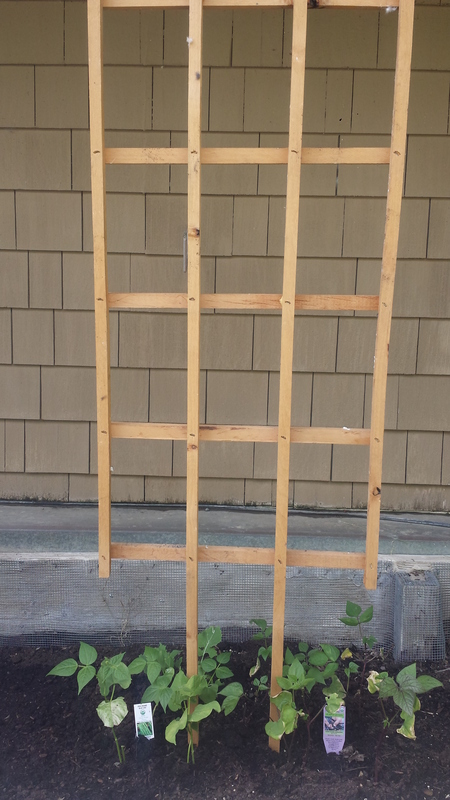 The trellises I purchased at Home Depot but they are available at most garden stores. Tip: I plant tomatoes early, in part because I’m anxious to get started, but also because I sometimes lose out on the varieties I want if I don’t buy them when I see them. 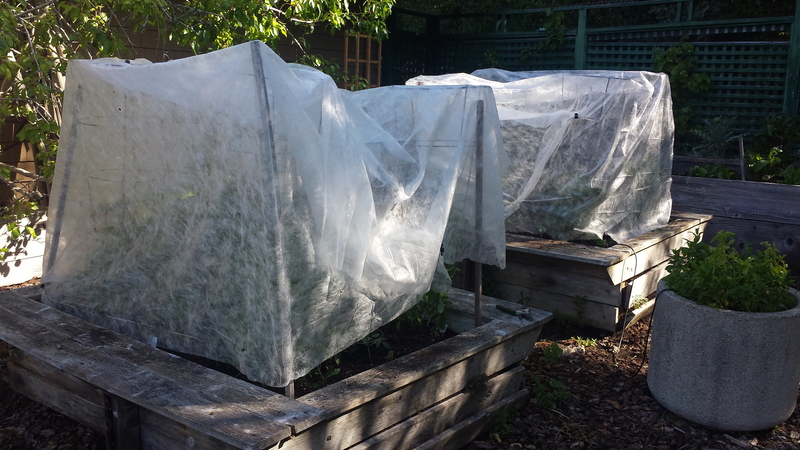 Since it’s still chilly at night (below 55 degrees) which stunts plant growth and causes blossoms to drop without producing fruit, I wrap my tomatoes in garden cloth at night which can raise the temperature inside their little garden ‘beds’ a surprising 8 or 9 degrees. I use hairclips for easy wrapping and unwrapping. As a result, I already have a few tomatoes! 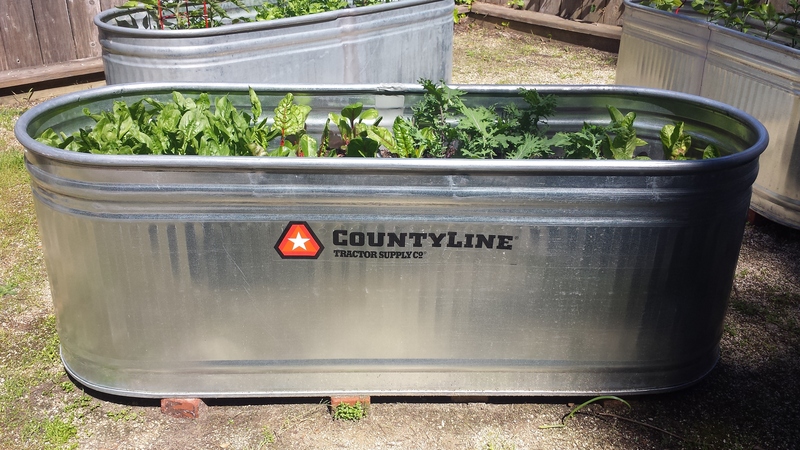 My friend, Judy uses a variety of containers, in particular these galvanized stock tanks which are sleek and modern. She can actually grow quite a bit of produce in each of them. She added irrigation so growing tomatoes, chard, beans, lettuce, peppers and other veggies is pretty easy for her to maintain once she got them going. 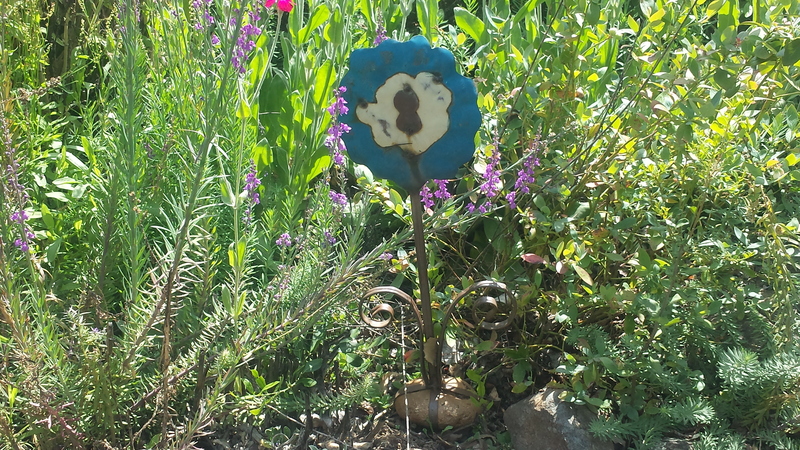 Another local friend, Patty incorporates her vegetable plantings throughout her back yard. She has some raised beds but also looks for sunny spots in her garden that are empty and plants veggies, tomatoes in particular. Patti is growing the most enormous in-ground artichokes which come back stronger and larger each year, along with kale, chard and many lettuces. 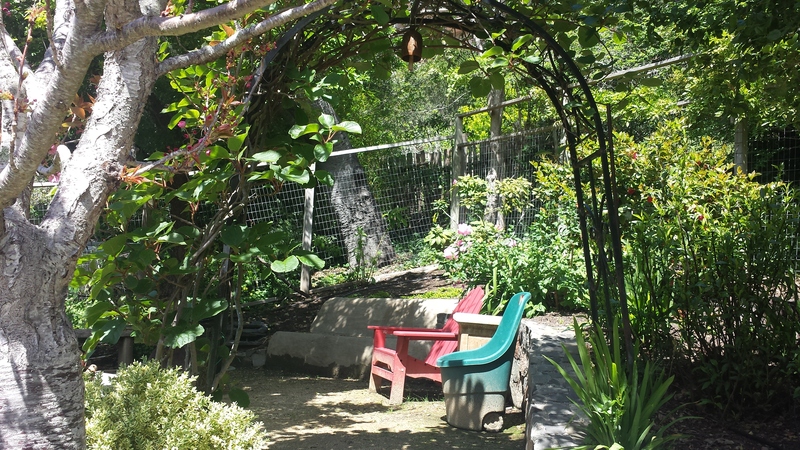 She also uses living archways to create outdoor ‘rooms’ which are quite charming. 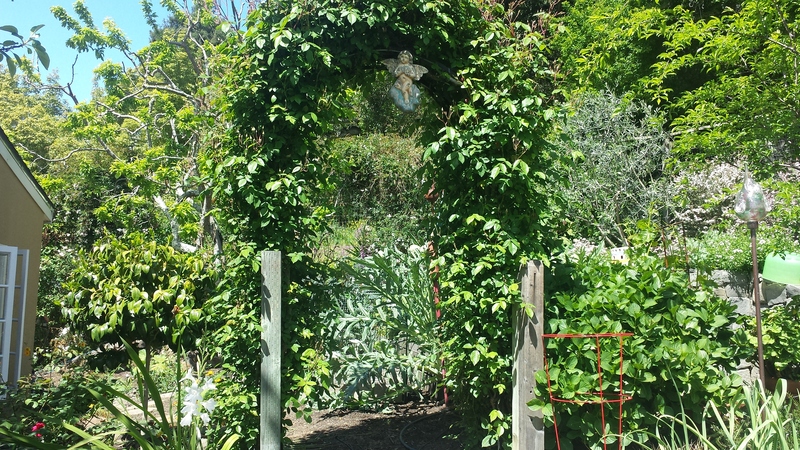 After spending some time in Patti’s garden, I am inspired to add some archways at both entrances to my garden which will be a fun project this spring. 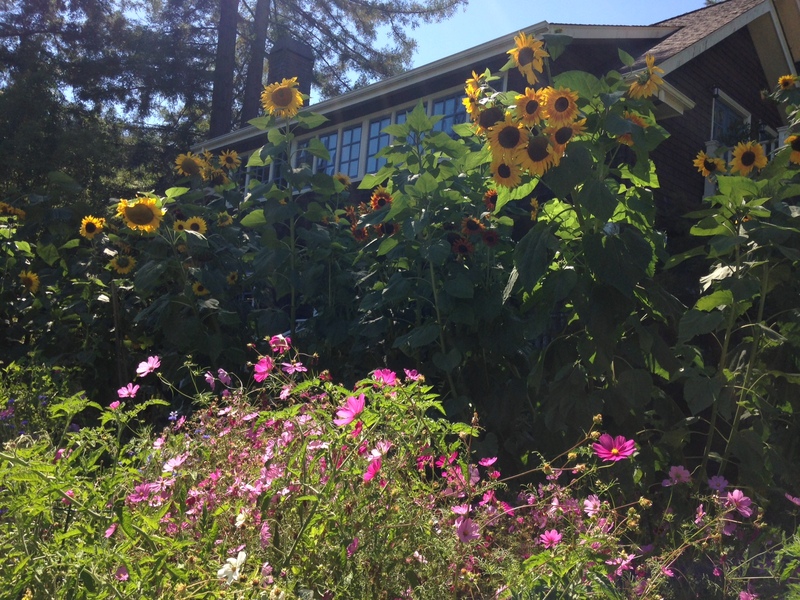 When Elizabeth remodeled her backyard into a beautiful courtyard, she no longer had room for a vegetable garden, so she dug up her front yard and created quite a beautiful garden. She is off on a fabulous trip and hasn’t planted her garden yet this year but was kind enough to send me photos of last year’s garden. As I recall, there were many vegetables planted between the flowers and sunflowers resulting in a beautiful and bountiful garden. Click on SproutRobot and enter your zipcode for a week by week planting guide in your area. 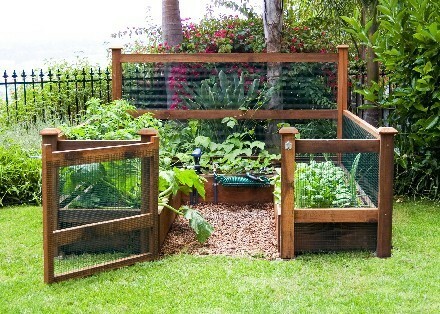 Click on Better Homes and Gardens for vegetable garden plans for every season. Click on the photos below to see the original post or for more information. Some of these people have really good ideas!